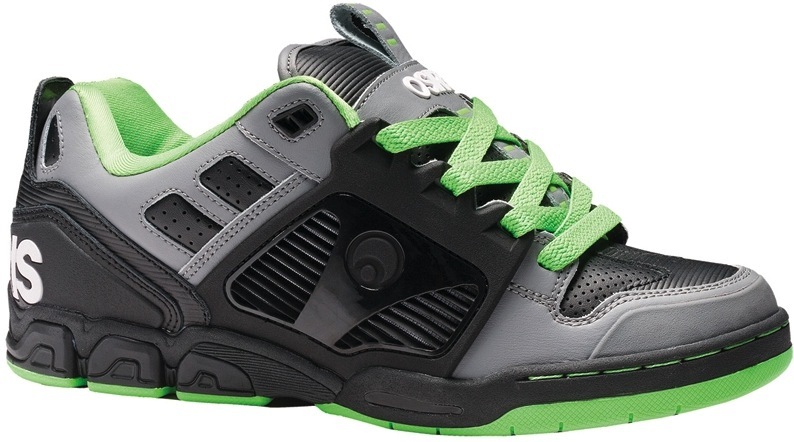 Osiris G3L is a totally new style for Fall 2012. Four colorways of technical skateboard shoe goodness! The entire G3L line is Vegan too, made with synthetic leather and synthetic nubuck! Packed with a ton of features this shoe completely ignores the slim stripped down styles that dominate the market currently. The upper is all synthetic leathers but also feature a bonded abrasion resistant toe cap and a TPR lace system. Hide the laces under for extra protect, or pull them snug. The side of the shoe under the cage is a huge vent. So important with such a hefty shoe. It vents right inside the shoe, so your feet can get some air. The tongue and collar are padded thick to keep those ankles safe! The outsole is a 3/4 cup sole construction. 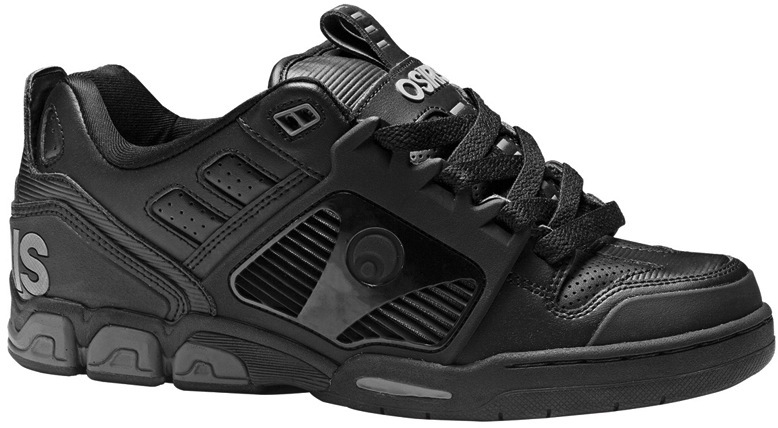 What that means, is the front end of the shoe has all the tactical skate features you find in most set ups. The molded polyurethane heal has lots of impact resistance usually not found in the modern skateboard shoe. 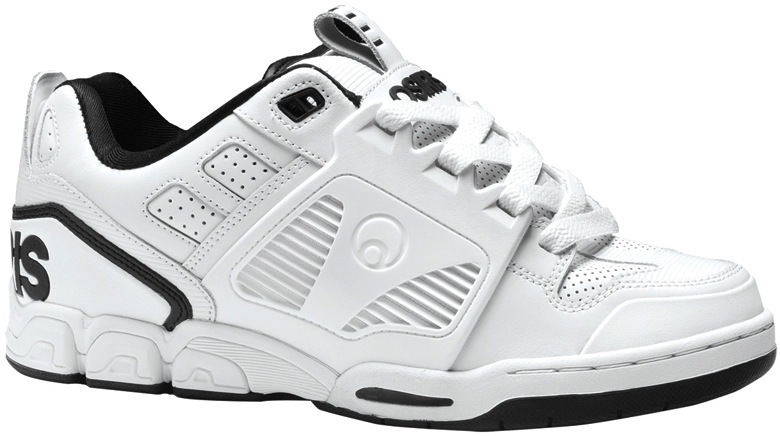 The G3L looks more like a shoe from the late 90’s early 00’s. Some of us are crying tears of joy, while a few of you may scoff. Either way you look at it, you can get out the camo cargo pants and look “fashionable” at the next Earth Crisis show. Lets think of the trade off though. More heft and padding keep your feet feeling protected but heavy and slow. Slim shoes are great for fast maneuvers but wear down fast and are unforgiving when you land on the heal. Lets not forget how awesome synthetics are! These shoes look like they could have been worn by the Good Robot Us’s from Bill & Ted’s Bogus Journey. 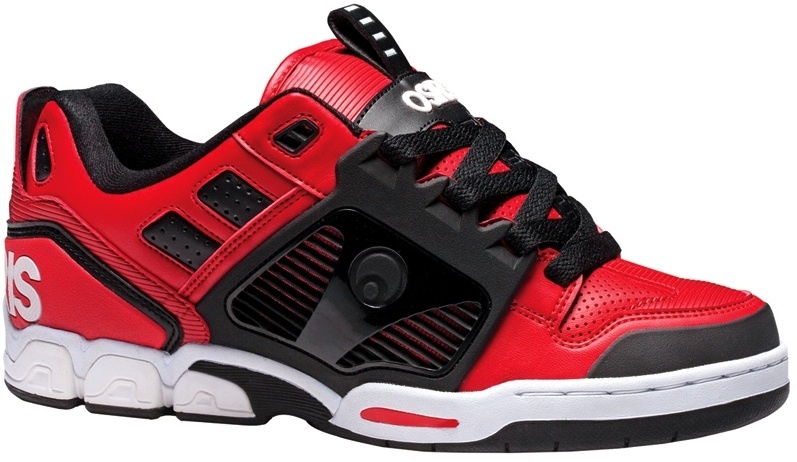 For some reason these shoes scream Insane Clown Posse to me… not sure why. These will match my hoverboad like none other!